There is a lack of knowledge among the population about the different specialists in the field of dentistry. According to them, a general dentist can perform all types of treatments. But what they don’t know is that there are dental specialists who treat different dental problems. One of them is a Pedodontist or a pediatric dentist who are specialist for any child’s oral health care needs. Every child is unique and should be treated accordingly. Managing a child as a patient can be very tricky and requires special skills to communicate and carry out the procedure smoothly. Pediatric dentists are explicitly trained to carry out preventive and treatments of dental caries in children and maintain their growth and development. 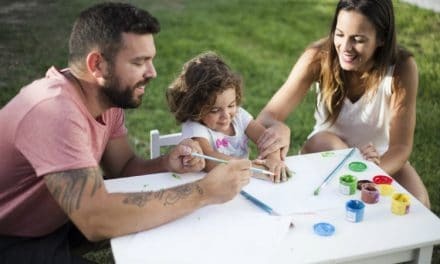 Pedodontists are trained in child psychology and therefore are the best to manage and treat a child effectively and efficiently. Creating a positive experience especially for children who are curious to know about everything is essential to building a doctor-patient relationship. Pediatric dentist not only provides comfort and long-lasting trust but also help to control the fear and anxiety of the patient. Let’s learn more about pediatric dentists and their impact on your child’s oral health and well-being. What do you mean by a pediatric dentist? A pediatric dentist, also known as a pedodontist, is a dentist who specializes in child oral healthcare and needs. The first primary teeth erupt at the age of six months in an infant. The permanent teeth begin to erupt at 6-7 years of age. 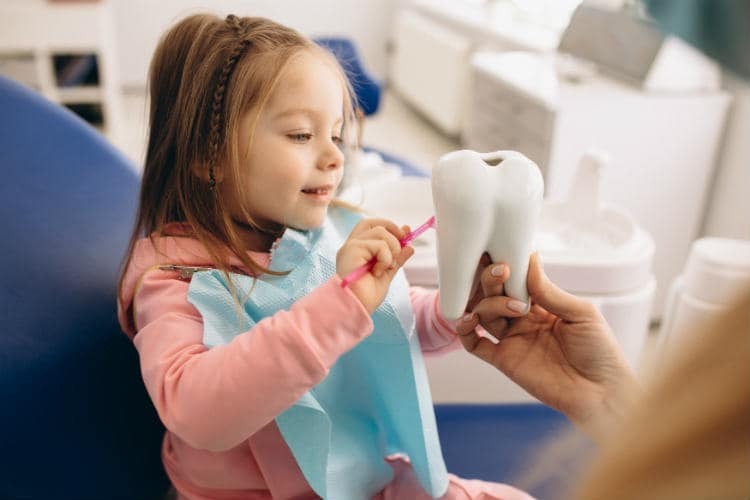 With proper care and help from a pediatric dentist, the eruption rates and presence of dental caries can be monitored and controlled timely, thereby, preventing the severity of pain and discomfort to the child. What are the educational requirements for a pediatric dentist? After graduating from a dental school, a dentist who wish to become pedodontists, specialize in a 2-year residency program. The course of the study includes child development and psychology, management and care of patients with a particular need, oral or facial trauma care, conscious sedation, and general anesthesia. Apart from this, scientific studies with hands-on experience and continuing education programmes are all part of the specialization. Infant oral health examination – to check the risk assessment of caries in babies. Habit counseling for oral habits like thumb sucking, mouth breathing, etc. Preventive dental treatment – this includes sealants, fluoride treatments, nutrition, and diet counseling. Early orthodontic intervention to straighten the teeth and correct the bite. Management of gum diseases like ulcers, oral sores, pediatric periodontal abscess, short frenula, and gingival enlargements. Diagnosis of oral conditions associated with specific diseases like asthma, diabetes, hay fever, heart defects, etc. Care for dental trauma like fractured tooth and knocked out teeth. Pediatric dentists are trained dental professionals who use behavioral guidance techniques on children as patients to reduce their fear and anxiety. Tell, show & do – This treatment is very beneficial to explain the child by telling him about each step and each instrument, showing them how it works outside the mouth and then performing it on the tooth. Positive reinforcement – It includes praising the child for maintaining good behavior and encouraging them for their co-operation. 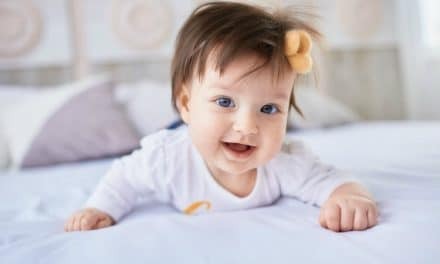 A pediatric dentist can help to manage the child by voice control and smoothen the dental procedure by demystifying the dental techniques. It allows the child to feel comfortable and build trust and a positive atmosphere. Every parent wants the best and most enjoyable dental experience for their child. Therefore, it is good to ask questions before starting up any procedure and familiarize yourself and your child with the dental clinic surroundings. A pediatric dental clinic always looks bright with colors and has toys and gaming options for children to play while they wait for the appointment. This also reduces their anxiety to some extent and makes them feel comfortable. If your child has an insurance cover, ask the clinic manager about the different policies and for fluoride applications, dental emergencies, and preventive care treatments. You should look for dentists who are certified by the American Dental Council. While trying to take care of our child’s oral health, it is good to seek help from a specialist who is trained to interact and communicate effectively with children. A pedodontist will not only provide the best possible treatment to your child but also help the child to develop a positive attitude towards dental procedures and the importance of oral health. This healthy and positive relationship will help to build the trust between the doctor and the patient and increase the comfort and care. A pediatric dental office is specially designed keeping children in mind and includes facilities that help the child to relax and build up his confidence. NextBrown Rice Vs. White rice – Which One is Healthier?